As you've probably noticed Kathleen and I have gone Machine Embroidery Applique crazy! We love it! Every single project we see we are trying to figure out how we can add machine embroidery applique. 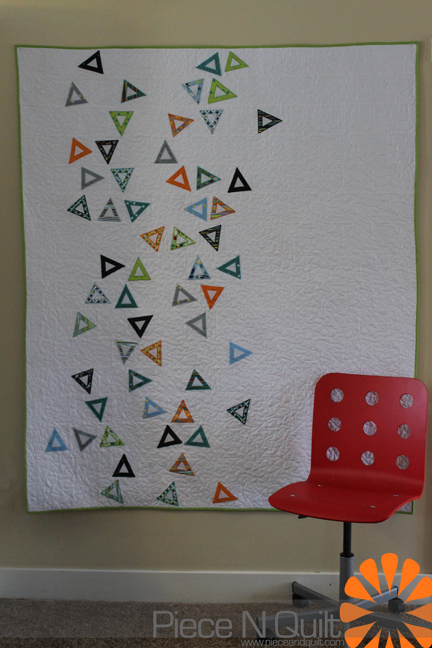 This new quilt was so much fun to make, it's made from Zen Chic's new fabric line Barcelona and a little bit of Moda Bella Solids. Today we have created a free tutorial for this darling Confetti quilt! 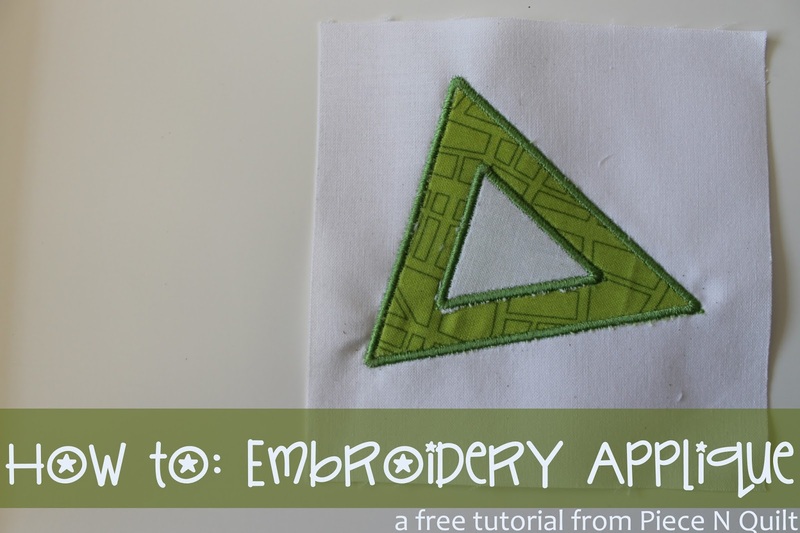 Triangle digital machine embroidery applique file is currently available for free! Click here to download from our website. Check out all of our other darling Embroidery Applique's while you're over there. Confetti is layed out like subway tiles, alternating blocks. After appliqueing your triangles onto 54 of the white blocks randomly lay them out, refer to quilt layout for exact placement. 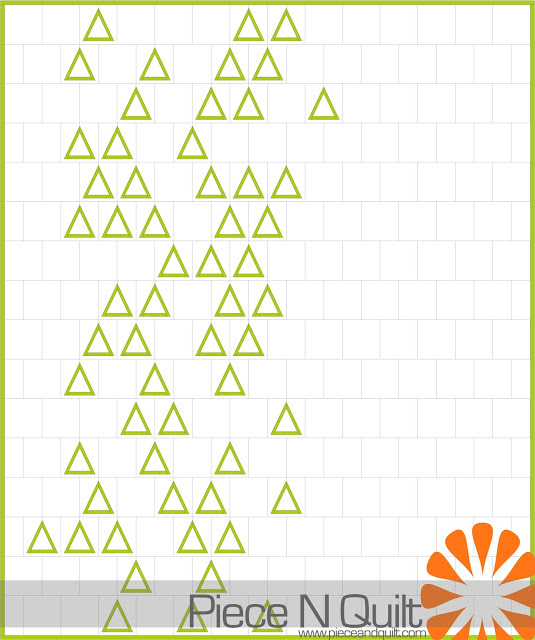 We rotated our triangle blocks to get a more random look. The super cool thing about embroidery applique, because it's done so precisely with a nice satin stitch when washing this applique there will be no frey! The quilt can be washed and washed and it will look nice forever! 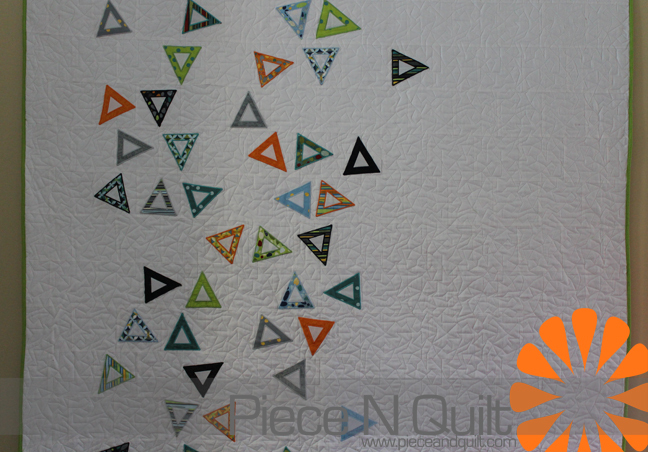 This quilt is machine quilted with a pantogrpah pattern designed by Natalia Bonner called Crackle, available here in digital and paper pantograph pattern. All of our embroidery applique is done on a Bernina Aurora 440QE with the embroidery module. Batting used is this quilt is Quilters Dream Poly Select.